Nearly all of the music from the seventeenth-century court at Dresden was unfortunately lost when Frederick II of Prussia bombarded the city in 1756. Fragments of the repertoire, however, have been preserved in the libraries of the courts of Protestant northern Europe, which were connected to Dresden by friendship or familial ties. 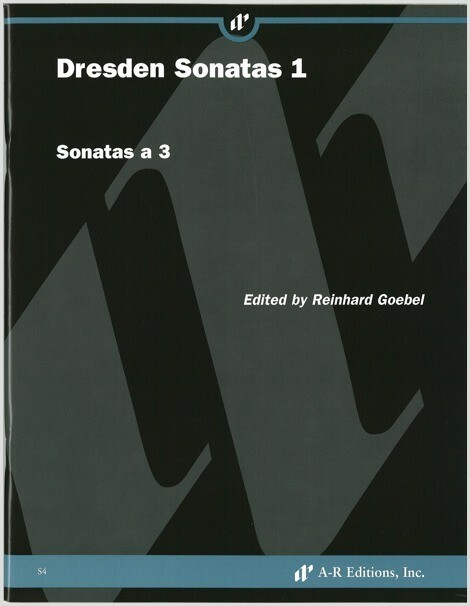 Some of these works are presented here as they have been performed and recorded by the ensemble Musica Antiqua Köln, directed by Reinhard Goebel. Dresden Sonatas 1 includes two trio sonatas (for two violins and basso continuo) by Carlo Farina (1604–39) and one by Johann Wilhelm Furchheim (ca. 1635–82).